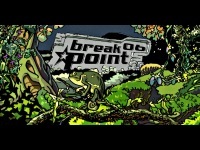 Welcome to Breakpoint 2006, world's biggest pure demoscene event. Up to 1000 visitors from more than 30 nations are expected to once again gather in the beautiful town of Bingen am Rhein, Germany, from the 14th to the 17th of April 2006 (Easter weekend). Make your way through a jungle of creativity, skills and art. A huge range of competitions, seminars and events about code, music and graphics awaits you - all created by a worldwide community of young computer enthusiasts. Meet old friends or make new ones, amaze the crowd with your productions, and improve your knowledge in all kinds of computer related art. Voted best demoparty for 3 years in a row by the readers of the PAiN magazine, we of course also stay commited to bringing you the best possible party experience - cheap drinks, cool music liveacts, a seperate beer/party-tent, a meadow with bonfire and of course our relaxed and friendy party rule set are just a few of our core features - you may read more about those in the About the party section. As the 2005 party location, the "Rundsporthalle" in Bingen, was an all-out success with both the visitors and the organizers, we will gladly return there this year. We are also proud to again host 2005's scene.org Awards, like we did for the past 3 years. Experience the ceremony live at Breakpoint, where the best demos and demo creators from 2005 will be awarded. Also don't forget to check out the official Breakpoint 2006 Invitation Demo, explaining Part 1 of this years 'Rumble in the Jungle' story (which is to be continued during the opening ceremony). Minimum PC specs are: 800MHz P3/Duron, Pixelshader 1.1 compatible graphics card (GeForce3,Radeon8500 or better). Alternatively a video version of the Invitation Demo is available for download. And if you are using Winamp5, you may also watch it as a stream. Another goodie, this time for C64 users: There also does exist an Invitation Demo for you breadbox-lovers. While it doesn't explain the Breakpoint 2006 story as the PC one does, it still is real fun and a highly recommended watch.